If you’re like most people, you’re always on the lookout for products you can use at home that will really change the way your skin looks. You have complex skincare concerns that need to be addressed on an ongoing basis, right? 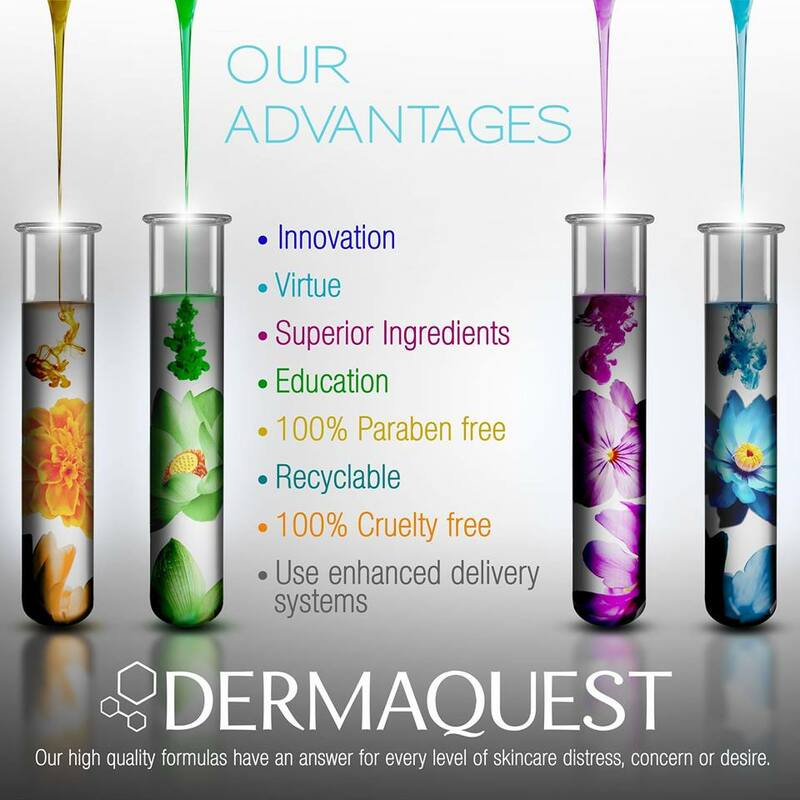 That’s why we’ve introduced the DermaQuest line. One of the most advanced options on the market, here you’ll find a variety of products with effective delivery systems that ensure maximum absorption. One of the most unique aspects of this brand is the fact that they’ve carefully developed eight different collections, all of which are carefully tailored to different skin types. Take a peek at the options. The Essentials Collection: If you’re looking for simple nourishment and protection, this is exactly the collection you want to consider. No matter what your skin is like, this brand core will help revitalise it and address your concerns. The Peptide Vitality Collection: Dealing with ageing skin is never easy, but this collection helps to fight collagen breakdown and smooth your skin to help smooth out wrinkles completely. The C-Infusion Collection: Vitamin C is a must for your skin, and this collection utilises BVOSC, one of the most potent forms of vitamin C on the market today. It can help energise and tighten your skin. The SkinBrite Collection: Dark spots, circles under the eyes, and hyperpigmentation are all fairly common problems. This collection contains a number of botanical and illumination ingredients that help to even your skin tone and dump the dark spots forever. The DermaClear Collection: There are many different types of acne, and almost everyone who deals with it is experiencing a different stage. Our products help to alleviate the symptoms, no matter where you’re at with acne. The Sensitized Collection: Some people deal with sensitive skin on a daily basis. Some people only encounter it a few times a year. No matter what category you fall into, these specially formulated products help to purify, protect and calm your skin . The Advanced Therapy Collection: When an extra boost is a must, this is the collection you want to shop. Complete with an Algae Polishing Scrub, Youth Serum, and much more, it will help you attain the look you want quickly. The Stem Cell 3D Collection: Plant stem cell technology can do so much to repair your skin, and this collection includes an eye lift, body creme, and much more to rejuvenate your body from head to toe. Ready to make DermaQuest part of your daily routine? Give us a call today so we can help you select the perfect product to meet your needs.